When it comes to manufacturing, metal fabrication, and metalworking, we live in a pretty awesome time. There are so many new and innovative manufacturing processes available to us. While 3D printing is showing lots of promise, nothing quite compares to the capabilities and benefits of CNC machining — or computer numeric controlled machining. CNC machining is without a doubt the most popular way to mass produce metal and plastic parts. Here at Fort Miller Fab3, we work with CNC machines every day, milling, grinding, cutting, drilling, and more. Although we know the in and outs of CNC machining like the back of our hand, we realize that this is probably not the case for others. To help bring you up to speed, we are going to cover some of the most popular and common CNC machining techniques in today’s blog. If you are in need of custom CNC metal work and in the Saratoga Springs area, contact Fort Miller Fab3. Our capabilities not only include CNC machining but also metal bending, robotic welding, plasma cutting, and more! Give us a call today at 518-547-4244 to learn more or to get your free custom quote. At its core, turning is probably the first machine operation in history. Along with milling, it probably accounts for the majority of CNC machining operations. The process is as simple as clamping a workpiece onto a rotating plate or mandrel. As the piece spins, a moving slide mounted with a cutting tool is held against it. This action is perfect for removing large quantities of the material rapidly. Within this technique, lathes, drill bits, and other parts can be added to produce desired results — whether it be a smooth surface, concentric shapes, slots, grooves, shoulders, or more. The easiest way to understand milling is to look at it as the opposite of turning. Whereas turning involves moving the piece and then holding the cutting tool to it, milling holds the piece stationary and rotates the cutting tool on a spindle. Typically, the workpiece is usually held horizontally in a vise and mounted on a table. Mills are primarily used to remove stock from asymmetrical parts. However, they can be used for drilling holes and bores as well. Mills are the go-to choice for those wanting to make notches, chamfers, channels, profiles, and other precise cuts. Being able to make a metal surface flat is an important component of many custom CNC metal works. The surface grinder is the best and most reliable way to achieve this. A CNC grinder applies the same principles as nearly all grinding. A spinning disk is covered in an abrasive grit, and the piece is mounted on a table that is able to move back and forth while the abrasive wheel spins above. While this process allows for various degrees of coarseness, allowing for different finishes, this process does not work with pieces that have large protrusions coming from the surface. Solid sink EDM is most often used to create pressure die casting, but rarely is this process applied to a finished piece. EDM is specifically used to make holes, squares, pockets, and other types of shapes. It can also be used to add texture to a surface or make recessed letters or logos. This process works by combining a conductive electrode, which is cut to the exact shape of the feature, with a dielectric fluid to force metal particles off the surface of the workpiece. Despite its modernish name, the wire EDM process has been used in the industry for more than 50 years. When describing this process, todaysmachinintgworld.com gives this apt description: “picture a band saw, but instead of a saw blade there is a thin wire, positioned vertically or at an angle, with which you can cut in any x-y direction. This is wire EDM (electric discharge machining), a process that can cut any electrically conductive material, hard or soft, even carbide or diamond.” This process is often used in scenarios where traditional cutting tools don’t cut it — e.g. circular or semicircular cuts. Cylindrical grinding is essentially a combination of surface grinding and lathe turning. Perhaps the greatest advantage of this process is the ability to make precise and accurate tolerances with workpieces that have very smooth textures and surfaces. In this process, the workpiece is held stationary while the cylindrical grinding wheel rotates against the surface. 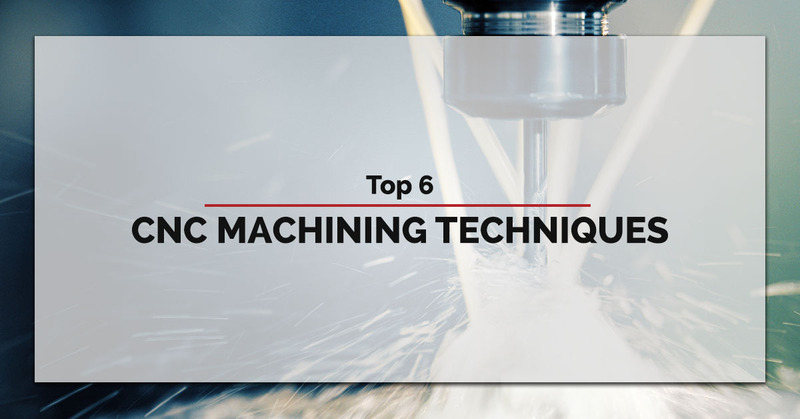 Although this may seem like a lot, it does not cover all of the amazing capabilities of CNC machining — don’t worry, we’ll save the rest for another blog. If you are in the Saratoga Springs area and in need of custom CNC work, contact us! From laser cutting to robotic welding to CNC machining, we can handle nearly all of your metal fabrication needs. Check out our capabilities here! Call us today at 518-547-4244 to learn more or to get your free quote.